In episode 17 of Talk Back, hosts Eric Nesbit & Justin Gay finish the NFL divisional preview series by digging through the NFC West and determining if anybody can beat the Seahawks to win the division. Segment two is another edition of Talk Worthy, a rundown of current events, this week featuring NFL injury updates, problems in the Cavs and Celtics deal, the boxing spectacle between Mayweather & McGregor, and a sarcastic tweet by Eric about DFS golf that got way out of hand last week. ... See More Finally, the show concludes with the customary lightning round where each host gets to ask the other one pressing question. 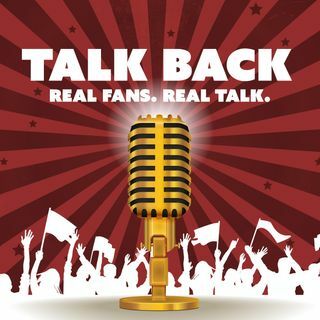 Follow us on Twitter at @TalkBackFanTalk, and enjoy the show!